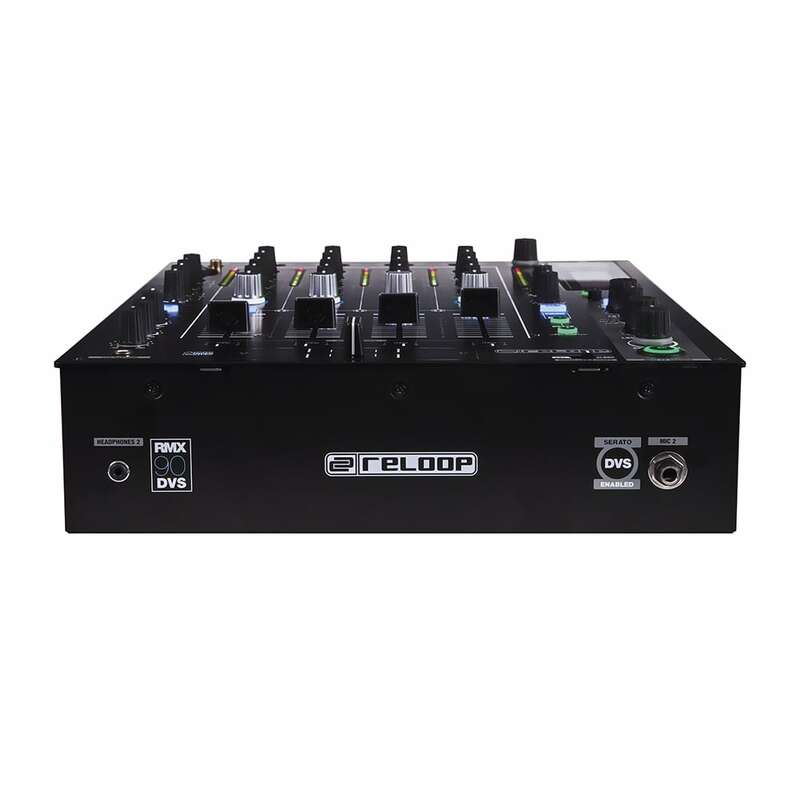 The Reloop RMX-90 is an all new high-performance mixer with integrated Serato DVS interface. 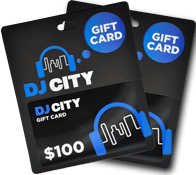 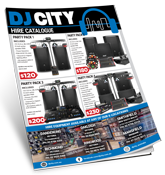 Designed to give modern vinyl DJs and turntables the quality and flexibility they need to create amazing routines and sets. 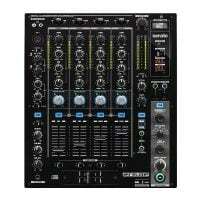 At first glance this powerful mixer has 4 channels with dedicated 3-band EQ + a bi- bi-polar filter with LPF and HPF. 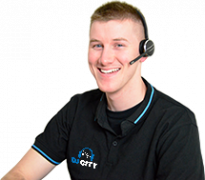 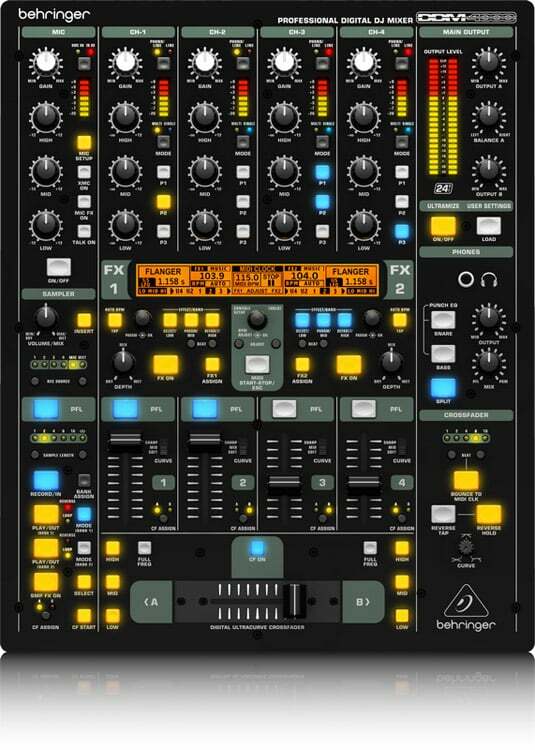 Another prominent feature is the Beat FX qwith 12 studio grade FX. 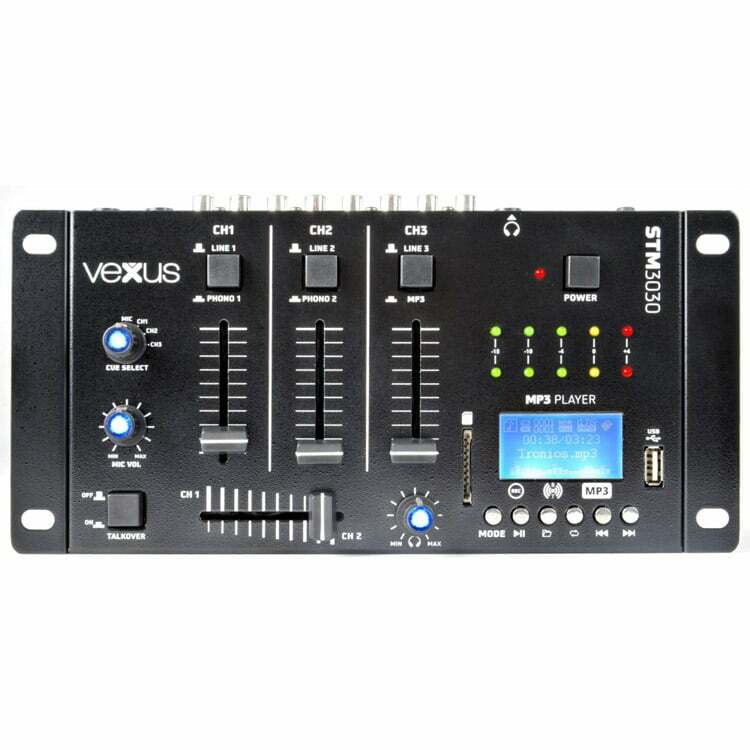 Beat FX can be synchronized via the BPM and the two high-resolution digital displays give visual feedback of FX parameters, routing and more. But under the hood is where the RMX-90 stands out from the rest. 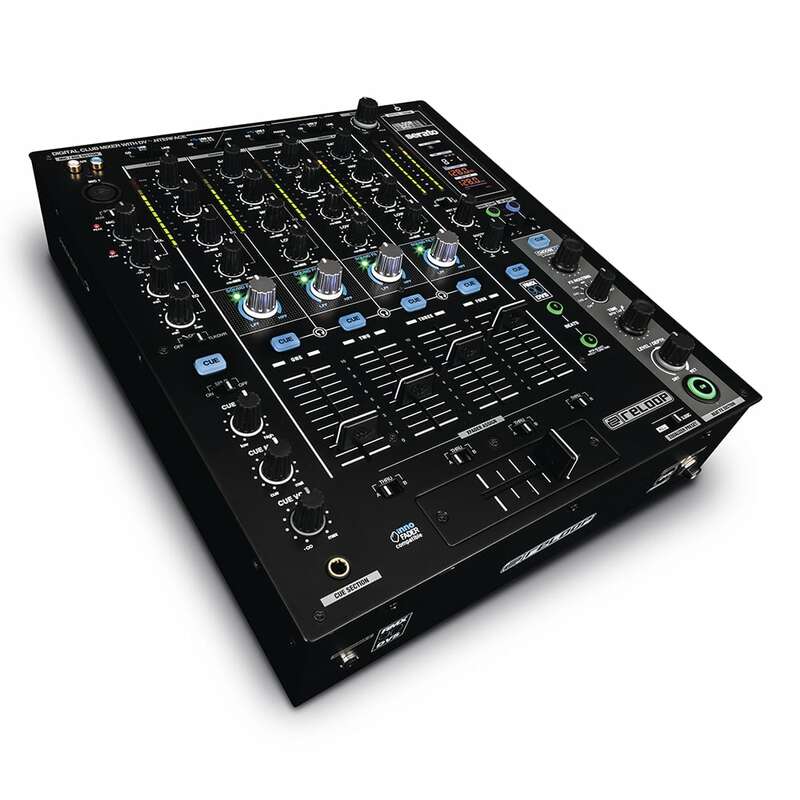 Boasting an integrated 8in/8out Serato DVS compatible interface for modern digital DJs. 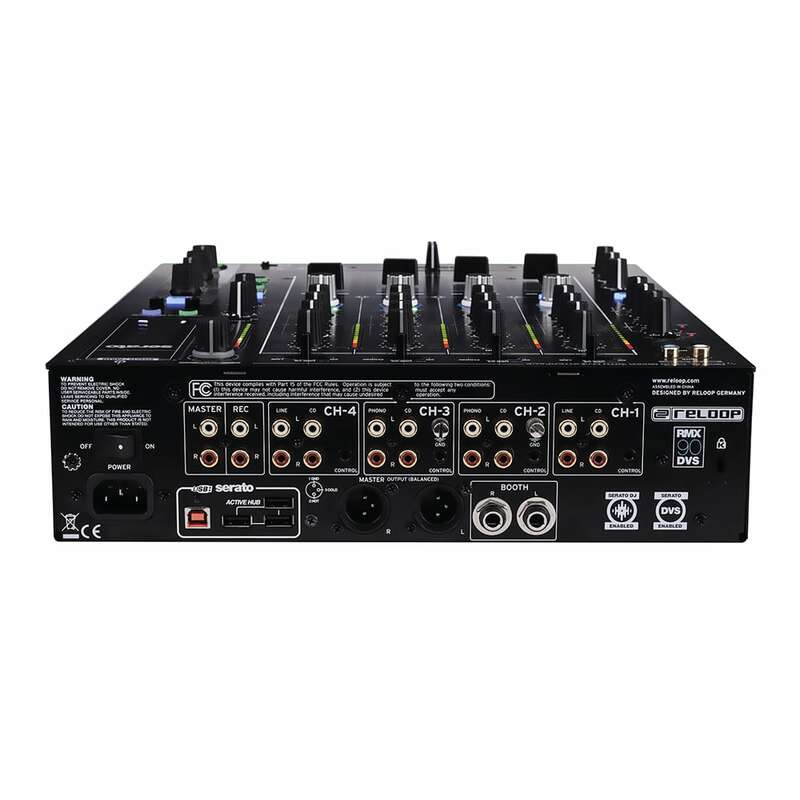 Featuring Serato’s advanced NoiseMap™ technology combined with the 24-bit USB interface allows for extremely low latency playback and precise record manipulation. Supplied with a full version of Serato DJ with DVS expansion pack and 2 control vinyl. 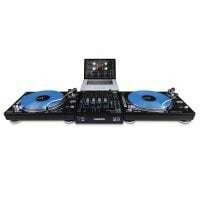 All you need is 2 turntables and your set! 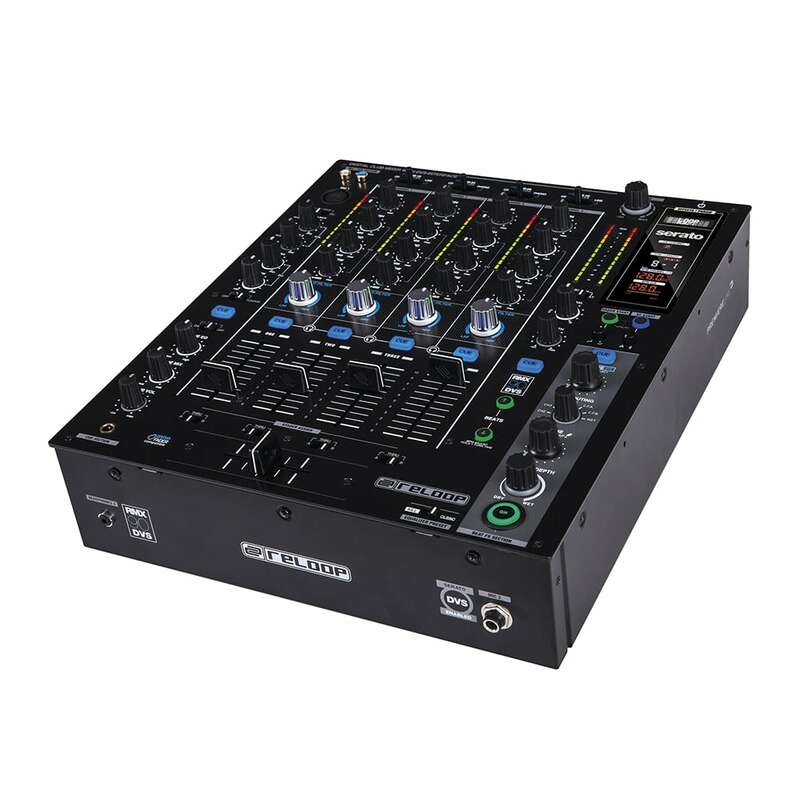 The RMX-90 DVS is a dynamic mixer that combines the advantages of an analogue club mixer with the endless possibilities of the digital vinyl world. 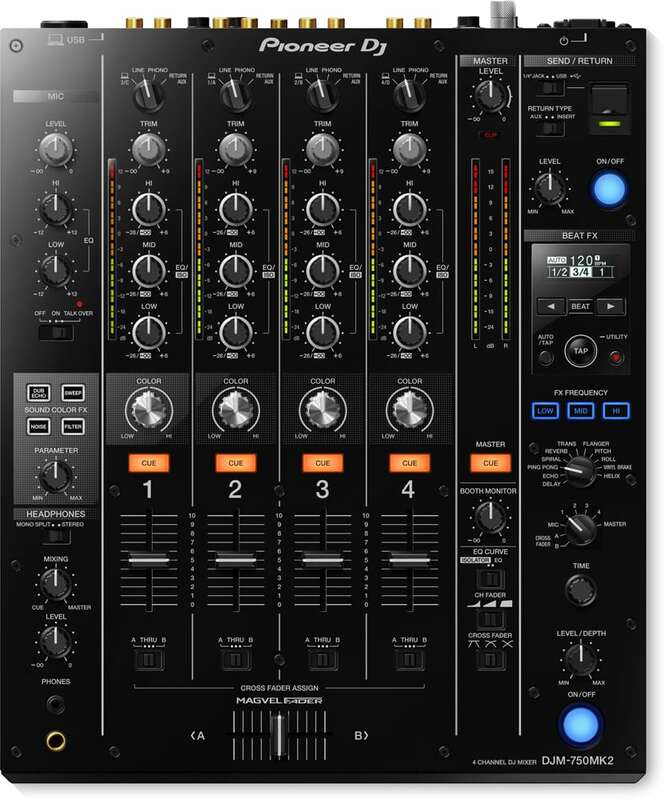 While it os bundles woith Serato, the RMX-90 is also compatible with Traktor Pro 3. 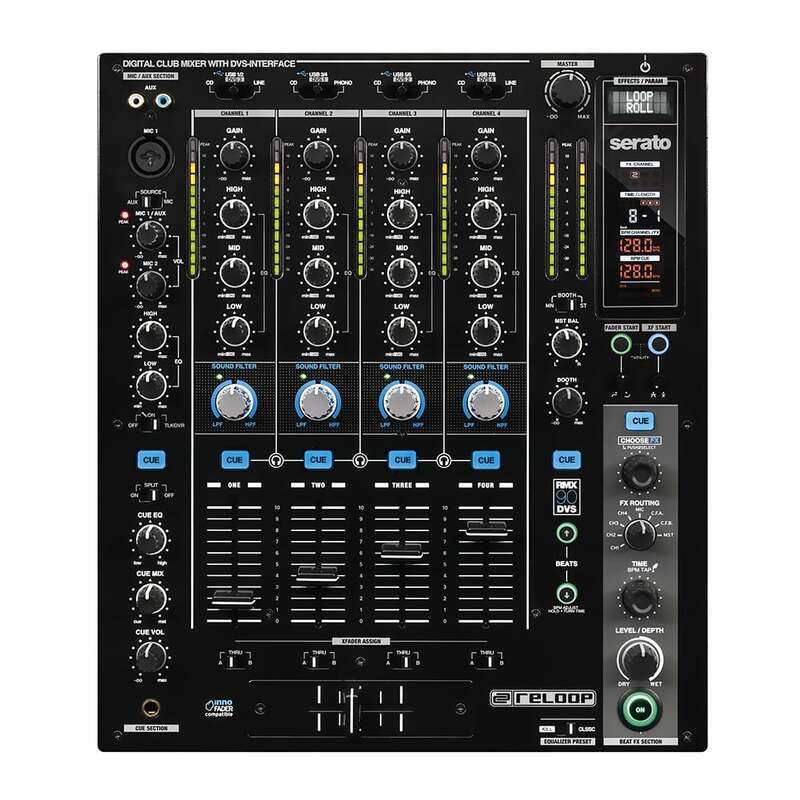 The Reloop RMX-90DVS intergrated audio interface is fully compatible with the latest Traktor PRO 3* software from Native Instruments, allowing you to mix scratch and play with ease. *Requires a Traktor Pro 3 license and Traktor timecode vinyl (sold separately). To get your scratch game leveled up the RMX-90VDS is Reloop Innofader is compatible and user-replaceable. 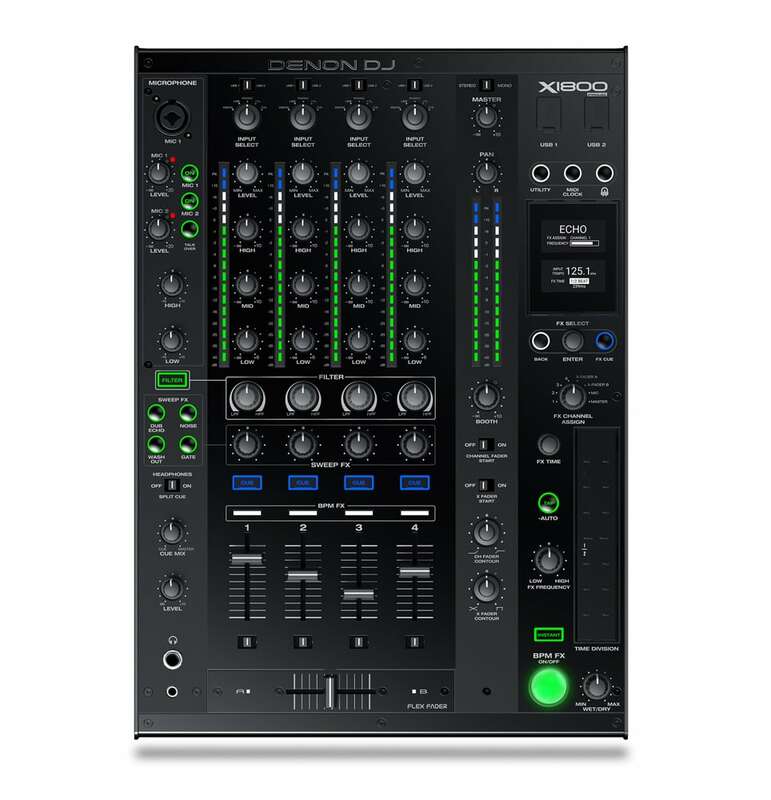 The non-contact Innofader is calibrated for use out of the box with this mixer.